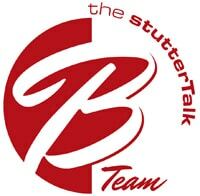 The StutterTalk B Team bring in the New Year by discussing stuttering and fluency shaping. CARYN HERRING, JOEL KORTE, and ROISIN MCMANUS (the “Stuttertalk “B Team”) do a spin-off of episode 309 and give their take on Fluency Shaping therapy. They discuss their experiences receiving fluency shaping therapy and what they believe was helpful and not helpful about this type of therapy. In addition, Joel analyzes the type of speech typically associated with this type of therapy, and if that can truly be considered “fluency.” Lastly, they discuss the reality of trying to use a speaking strategy all of the time.